Our Toronto lawyers have represented assault victims in a variety of different cases. Assault claims are fights or attacks by one or many other parties or another. Goldfinger Law has assisted countless victims recover compensation for assaults arising from bar fights, abuse by bouncers, sporting event assaults, jail house assaults, casino fights, gunfire claims, stabbings and street variety assaults. 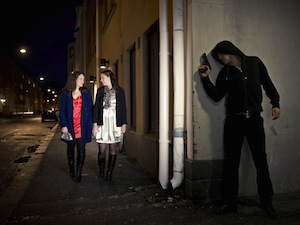 Assault claims sometimes involve one, or more parties that are drunk, have been drinking, or under the influence or drugs. These cases all come down to the extent of injury to the injured party, whether or not one party was provoked or not, and the credibility of the parties. Each party to the assault will have their own version of the attack, and the police will likely have their own version as well. These cases will boil down to the credibility of the parties, along with the corroborating evidence from any witnesses. Any video, surveillance, photos or recordings of the assault or the moments leading up to the assault will help our personal injury lawyers with your case. This is why it’s so important for clients to preserve their records along with the names and any contact information of witnesses. Assault claims will often involve an element of criminal law if the defendant was charged with a criminal offense in relation to the attack. If this is the case, Goldfinger Law will assist our clients in making a claim for compensation to the Criminal Injuries Compensation Board. Awards from the Criminal Injuries Compensation Board are separate and apart from those damages from the civil injury claim. But if a recover is made from the Board, and also from the civil defendant, then the Board must be repaid for the amount which they paid out to the accident victim. Often the hearing before the Criminal Injuries Compensation Board is heard before the civil assault claim for personal injuries has resolved. Assaults can result in a variety of different injuries, including brain injury, broken bones, bruising, swelling or soft tissue injury. In every assault claim, the Ontario Government will maintain a subrogated interest to recover OHIP’s healthcare cost associated with the medical fees arising from the assault. This is called “OHIP’s Subrogated Interest”. OHIP’s healthcare cost can be small for minor injury cases. But in more serious broken bone and brain injury cases, this subrogated interest can be significant. Our law firm works with OHIP in order to recover the Ontario Government’s subrogated interest. In the event this interest is not recovered, and the accident victim receives compensation for their injuries, there is a chance that the provincial government will seek to recover their lost healthcare cost directly from the accident victim. This healthcare bill can be expensive and onerous for the injured party. 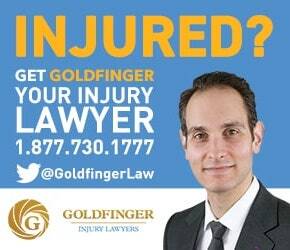 If you, a family member, or a loved one has fallen victim to an assault, feel free to contact the injury lawyers of Goldfinger Law for your free consultation. We would be please to meet with you at one of our offices in Toronto, London or Peterborough. If you can’t make it to one of our three law offices, then we would be happy to meet with you at your home, or at hospital if you’re an in-patient. We represent accident victims across Ontario, and we don’t charge any legal fees until your case settles.